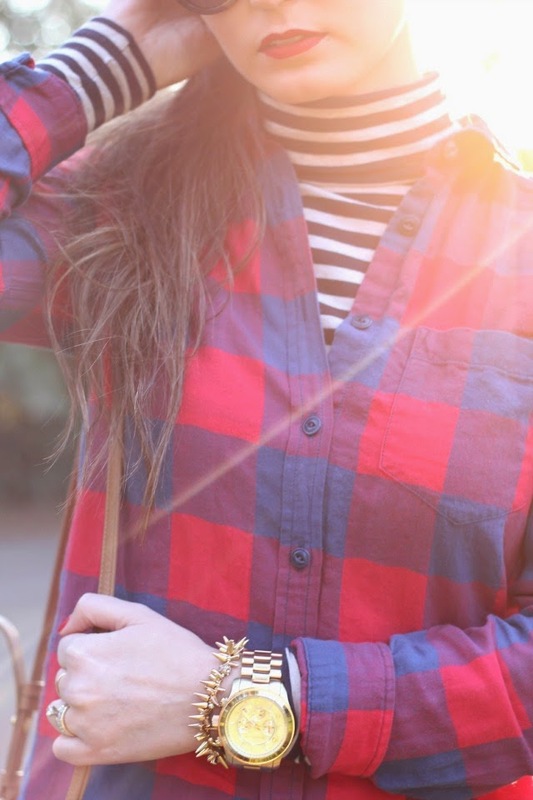 My favorite casual combination as of late: stripes + gingham. This is such an easy, light-layering look that's comfortable, yet chic for a busy day of running around town. 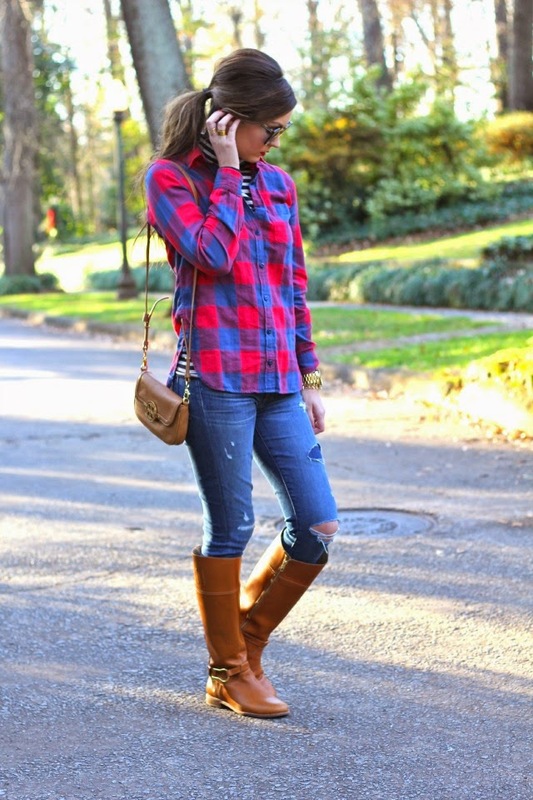 You could also add a light jacket for cooler days and I love this one! Don't forget that for most websites, Saturday and Sunday are the absolute last days for standard holiday delivery! Here's all of the shipping info (most are free!) for some of my favorite retailers: Nordstrom, J.Crew, Baublebar, Tory Burch, Anthropologie & Piperlime. Be sure to shop THIS WEEK for those last minute people on your list and beat the deadline! 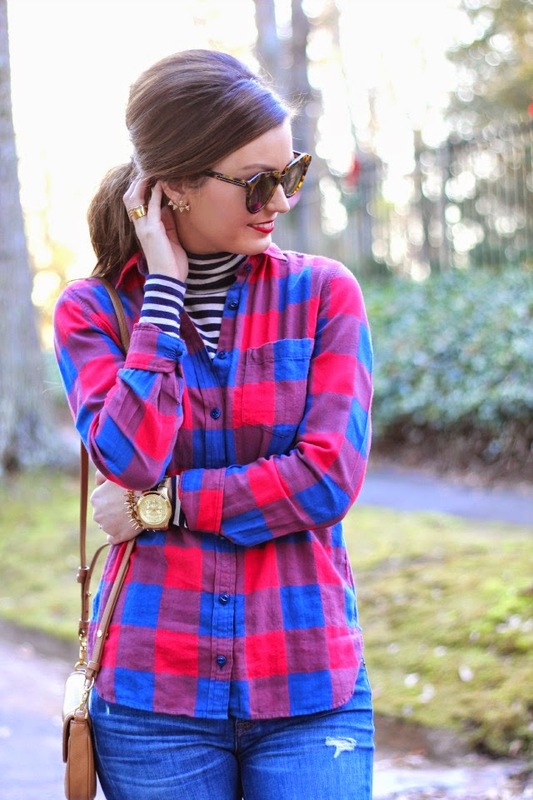 Love that you paired stripes and gingham! It's something people shy away from, but you look great! Love this look. The mix of patterns with the cognac is beautiful. What a lovely look! Your hair looks fantastic!! Adorable! I love mixing patterns like this. 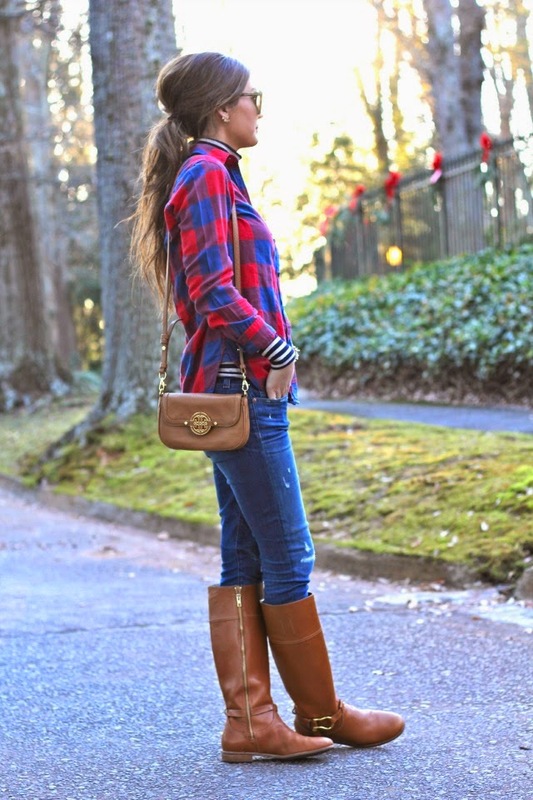 I love the plaid shirt with the stripes underneath! Your sunglasses are so cute! 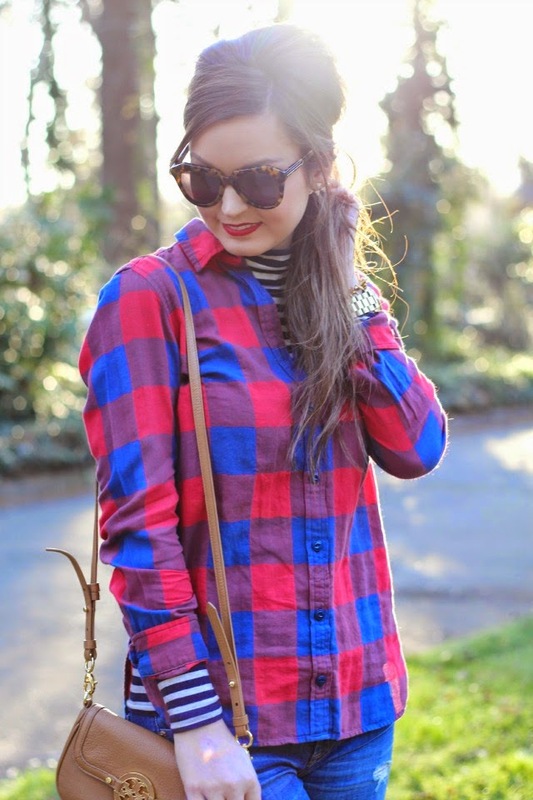 Love this look with plaid! This is sooo cute!! I am loving your ponytail too! Love it! 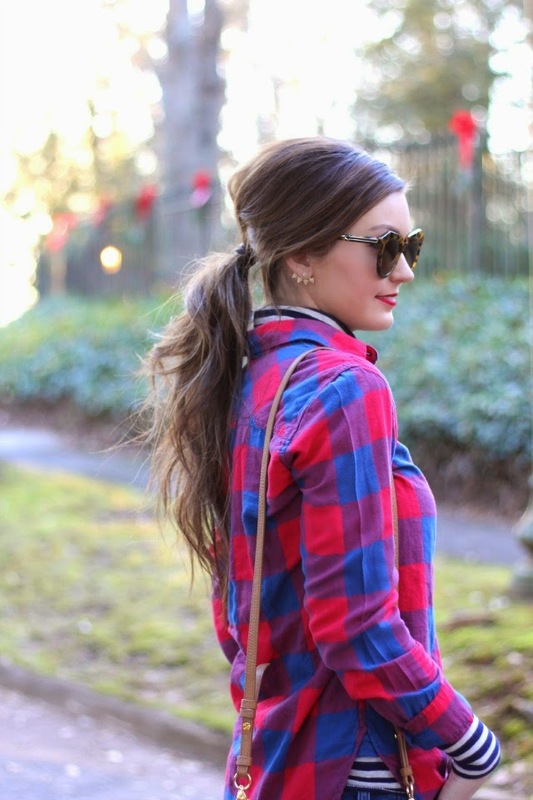 Your pony tail is on point! Looks gorgeous!